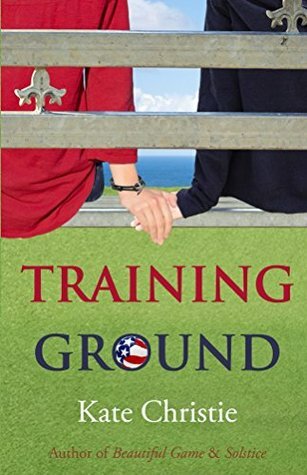 Okay, so did you read Training Ground yet? If not, stop here, go read it already. You do not want to read this one without the back story. Game Time doesn’t pick off where we left Jamie and Emma. No, we fast forward ten years to 2013 and find them on opposites sides of Earth. Jamie is playing for the women’s division or Arsenal Ladies Football Club in London. Like many Americans, Jamie has chosen to cross the pond for a chance to keep playing the game she lives for. Emma has achieved the pinnacle of success, she is a starter for the national team, multiple Olympic medals, and endorsement deals with major sponsors. Emma lives her life in the public eye, easily recognizable. Jamie, on the other hand, is still striving for her chance to be called up to play for her country. While Emma has achieved most of her professional life’s goals, she has started to see, that her life also has a major void. She wants what so many of her peers has found, that special person. She knows what true love feels like, she just hasn’t found it with anyone else. Fate and bad luck have literally kept them apart all this time. Just when Jamie has had her chance to play on the national level disaster strikes. First a torn ACL, the second a broken ankle, and with every injury, she must go back, recoup and begin her quest again. With dogged determination, she never gives up, and she keeps striving for her lifetime goal. Jamie has the heart of a lion, and you just can’t help but root for her success. Finally, she gets the call. Jamie has been picked for a two-week residency camp in an off-year as the national team begins to find who the 21 players will be that represent the USWNT in 2015 in the pursuit to win the World Cup. Guess who else will be at camp, yup, Emma Blakely. These former best friends will spend 14 days in close proximity, and it’s time to move forward. While Training Ground was painful to some extent, Game Time starts the rebuilding. Accepting that life, missteps, and personal mistakes all took a toll on their relationship, Emma and Jamie can find a way to be what they were first, friends. The foundation is there and with work and communication, these two find their way back to each other. Oh, guess what’s still there, yup chemistry, sizzle! What I loved about this book is there isn’t any contrived drama. These two ladies have a lot on their plate as it is. The stressors of being a professional athlete, staying on top of your game, making one of the most select teams in the world are enough right. You will be 100% invested in the journey of these two leading ladies. My heart just about burst when they find their way back to each other, and have their chance at true love. Now I just need the third book ASAP. Soccer is a passion of mine. I have played most of my life, starting when I was just in the 1st grade. Combine that love with a Kate Christie book. Okay yeah, you have me interested. Even if soccer isn’t your passion ,you should give this book a chance for one reason, the author. Jamie Maxwell is a young high school aged soccer player. She has that single-minded focus of an elite athlete. Soccer, she lives for it, she will sacrifice everything else for the game. How many teenagers are that focused, not many? Combine that with a natural athletic prowess and you have that special combo that just might take you to the top of the game. Emma Blakeley is exactly like Jamie in the sense that the game defines her. Emma is finishing up her senior year and has already committed to the storied women’s soccer program UNC. 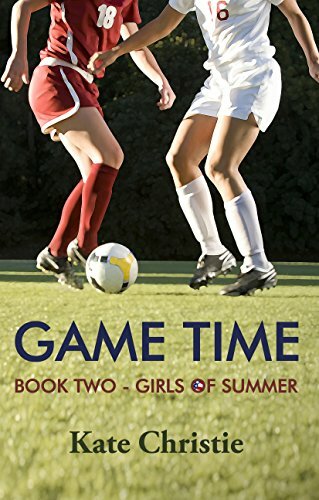 Emma sees a kinship in Jamie, where the sport they love supersedes everything else. What she also sees, when they randomly bump into each post-tournament is that Jamie radiates sadness. They bond almost instantly seeing a kinship of a fellow athlete but also drawing strength from one another. This instant connection will define the rest their year. In the beginning, they are strictly friends, sharing their love of the beautiful game, waking up before the sun is up to catch a Premier League match, sharing stories of their day on the pitch. Soccer is the catalyst for more. They become to depend on each other. They become each other’s anchors as they deal with some pretty heavy stuff. This story is jam-packed with drama. You have multiple life defining moments and the reactions and emotions of two young women. My heart ached for both Jamie and Emma, at times individually and simultaneously. To say these two are put through the gamut is an understatement. 2003-2004 will be a time that will forever define the course of these two lives. Pretty heavy right! If this book was a stand alone, I would be wary to recommend this one. Not because of any flaw in the writing, because it is really good, but it also kind of hurts. While I read romance novels for so many reasons, let’s all face the cold hard truth, we want that happy ending. Good news is this is not a stand alone, but one of three books following the lives of soccer’s toughest duo. Training Ground is the backstory, vital to understanding how it all began. So you have to read it, and you’ll want to, but buy the second part with the first, and go right into it. 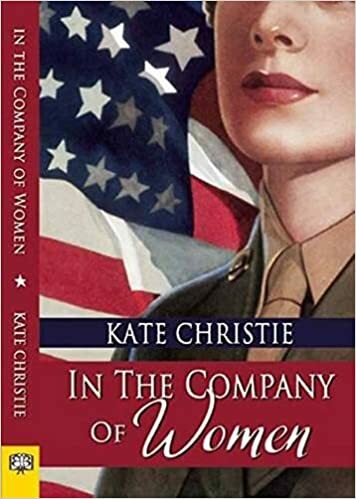 In the Company of Women by Kate Christie is both a work of historical fiction as well as a romance. The romance is well developed and had great chemistry, what made the book so very good though is the historical accuracy that went along with it. How many times can you learn about such an important part of history all the while getting a great story too? The book first introduces us to Caroline “CJ” Jamieson a private in the Women’s Army Corps in 1943. CJ a Michigan native was scheduled to be stationed in California, but right at the last minute she gets rerouted to Fort Bliss in El Paso, Texas. CJ is an airplane engine mechanic that recently graduated from University of Michigan, but delayed graduate school to do her part for the war effort. Upon arriving at Fort Bliss, CJ literally runs into Brady Buchanan. Brady is the public relations section of WAC and hosts the radio program as well as writing for the base newspaper. Their chance meeting sparks an instant friendship and these two become almost inseparable. Brady and CJ have a wonderful chemistry and it builds nicely. I wanted them together as much as possible, but this book is also full of historical facts of the time, so you have a give and take between the romance and history lesson. I found myself really enjoying this. I thought the information was written in a way that was interesting and engaging. I felt as if I was right there at Fort Bliss. Christie obviously put a lot of research into this novel and to me it paid off in spades. If you are a history buff this is your book, you will not be disappointed. If you have never read Kate Christie’s work I will tell you she is one hell of a writer, her books are always great!